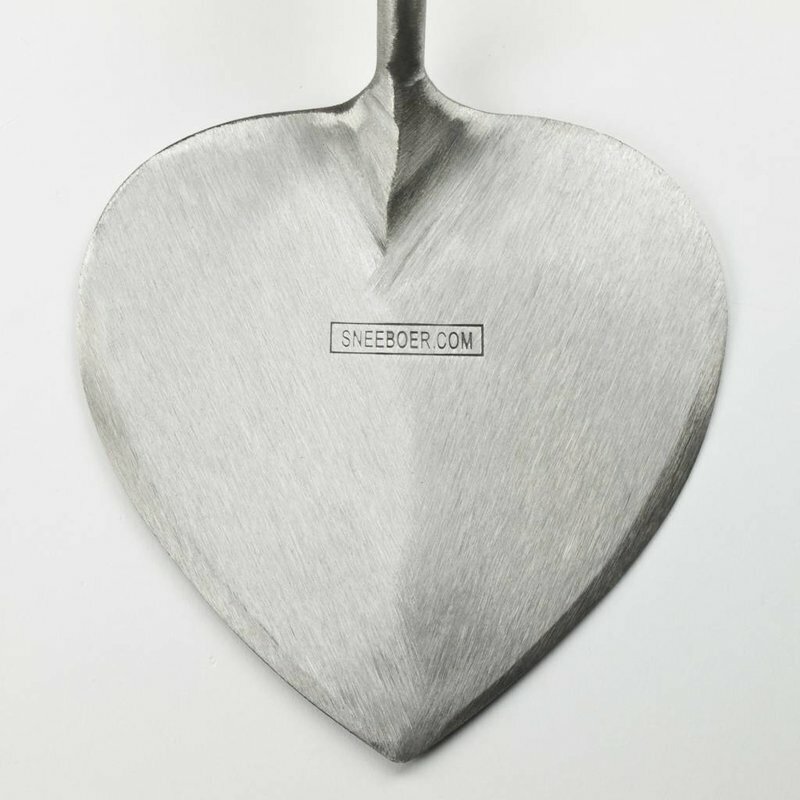 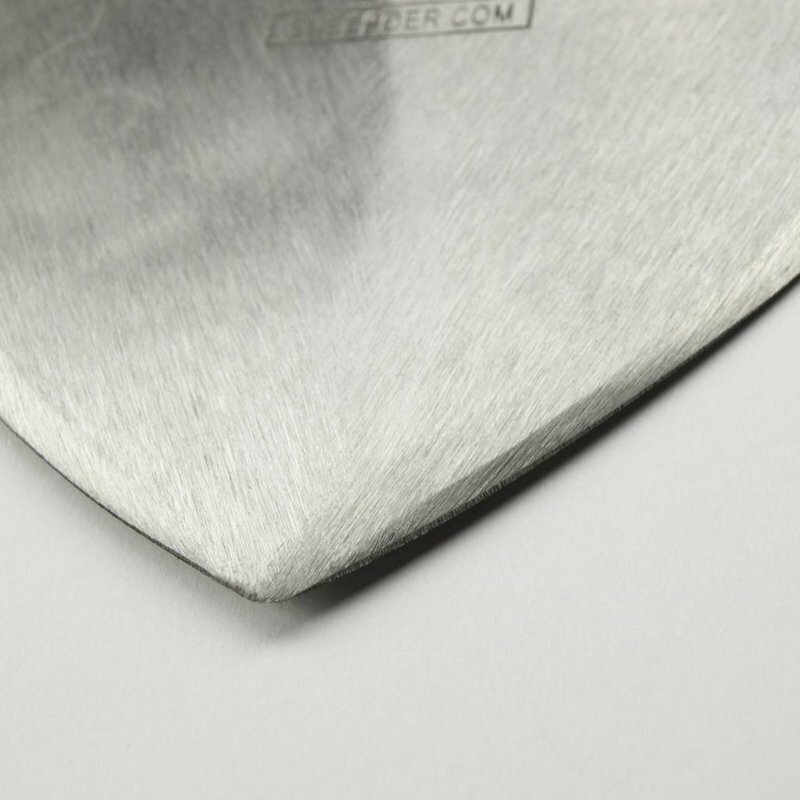 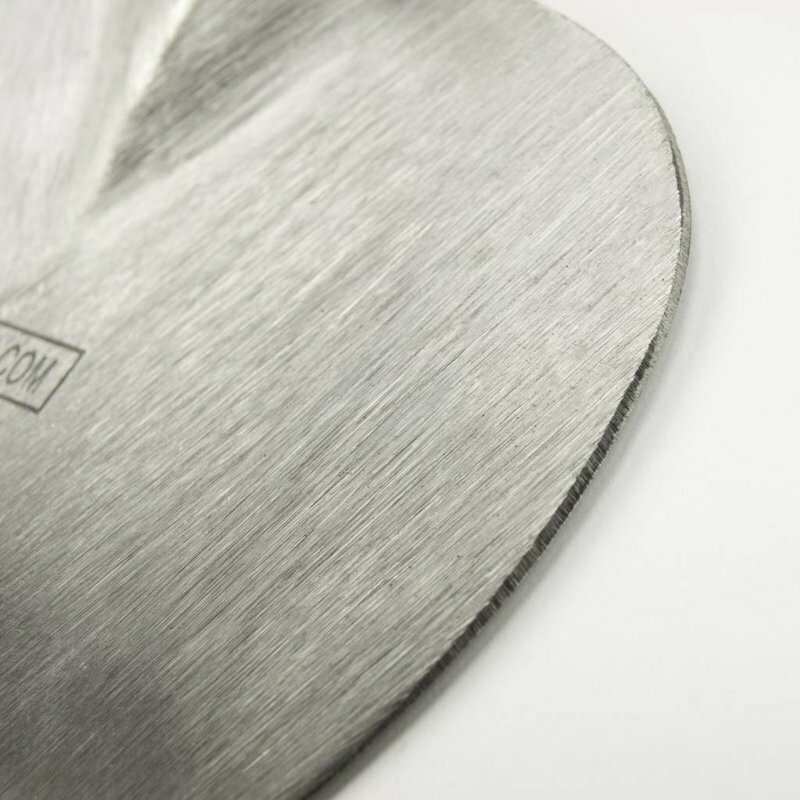 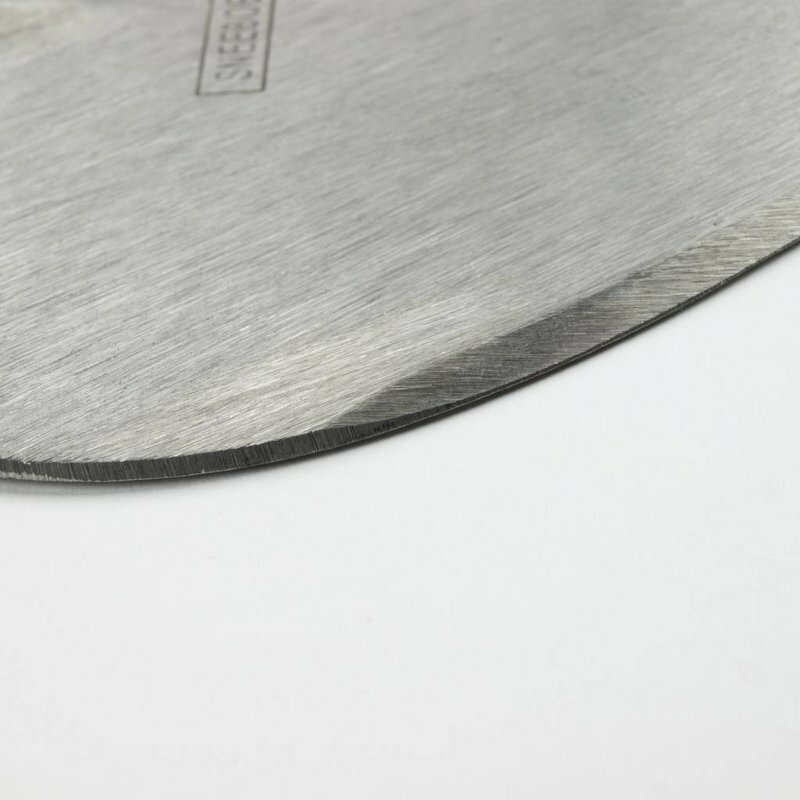 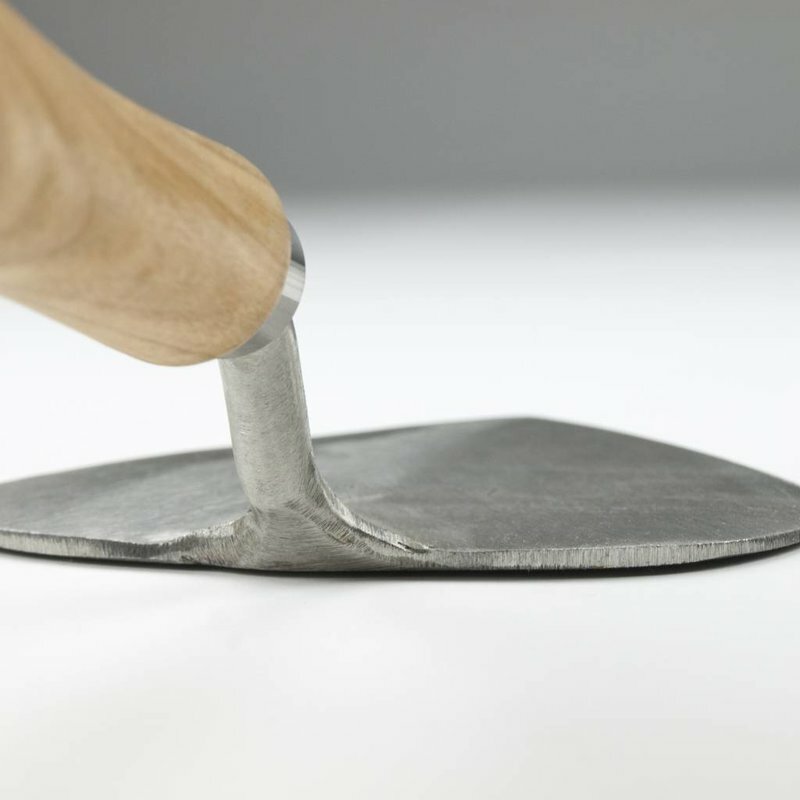 The planting trowel by Sneeboer Tools has sharp sides and a pointed end allowing you to cut easily through the soil for all your planting and gardening needs. 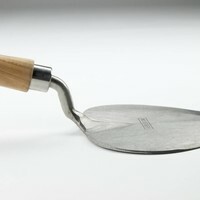 Use it for planting bulbs, seedlings and small plants or use the large head for breaking and turning the soil. 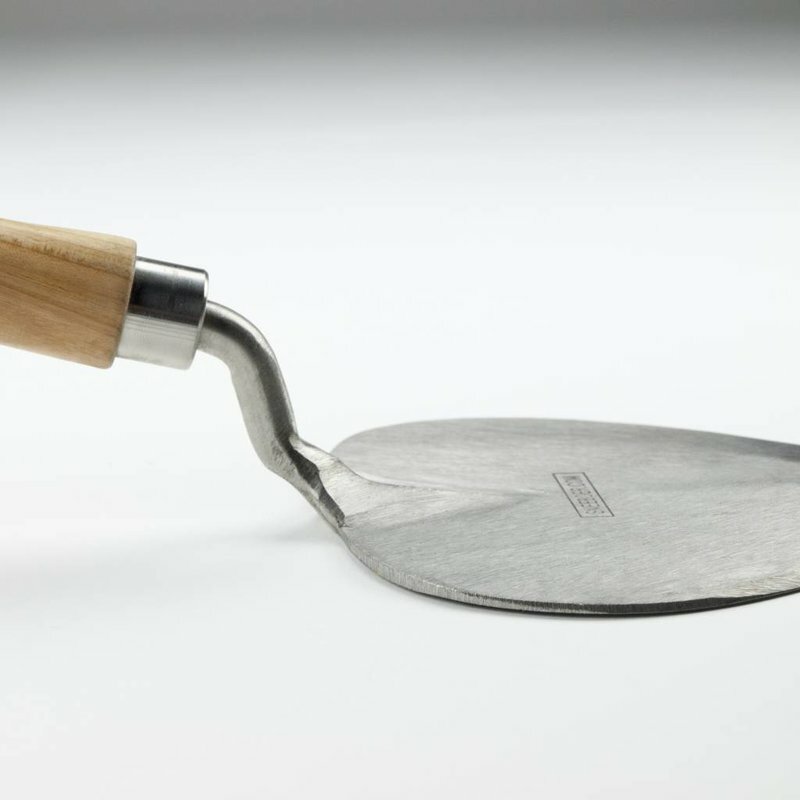 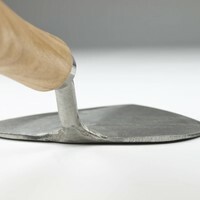 The planting trowel can even be used to separate smaller perennials. 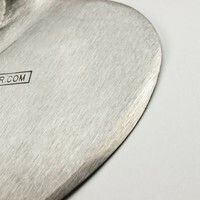 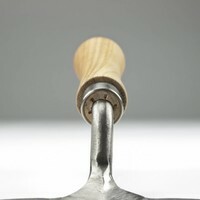 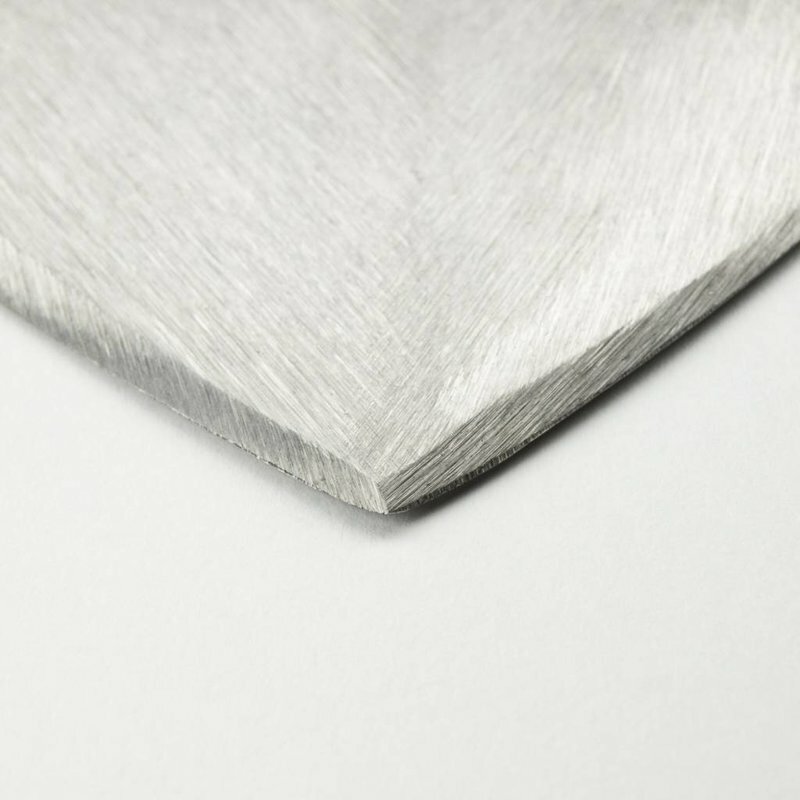 The forged stainless steel head will stay sharp and provide you with a lifetime of service.Usage: The way to use this trowel is totally different to the norm, instead of the usual scooping action, you use it the same way one would use an axe. 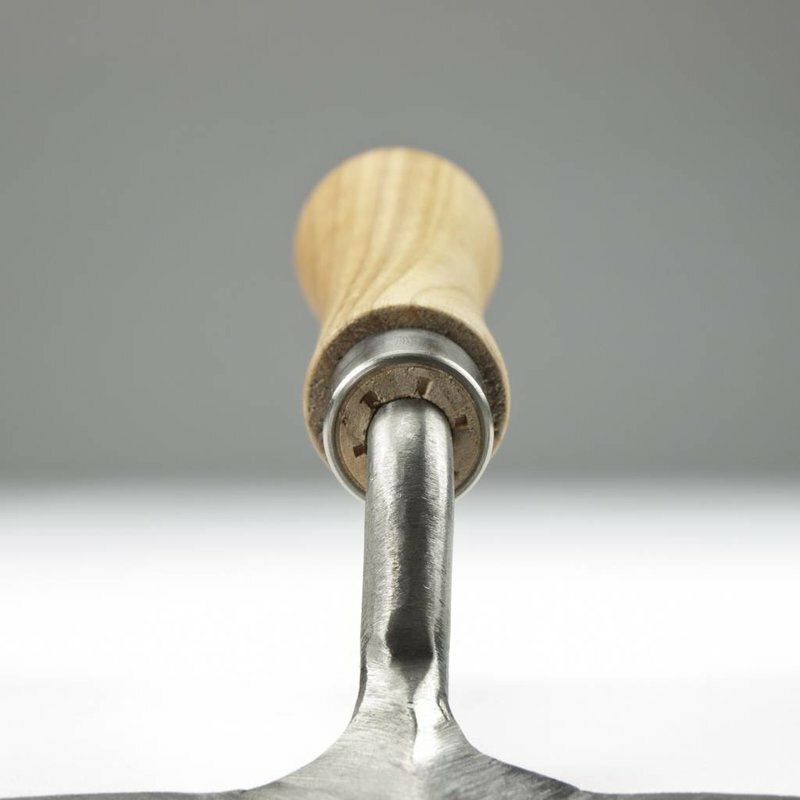 The weight is heavy and the balance is different. Penetrate the soil ( you need the weight) move the trowel forwards and backwards and you have a perfect planting hole. 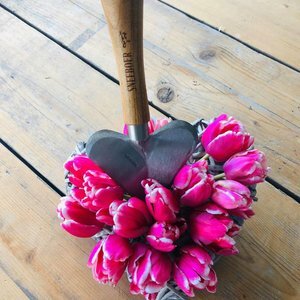 To give you an idea of how successful this tool is: all the bulbs ( millions) at the famous Dutch Keukenhof Exhibition are planted using this special trowel. 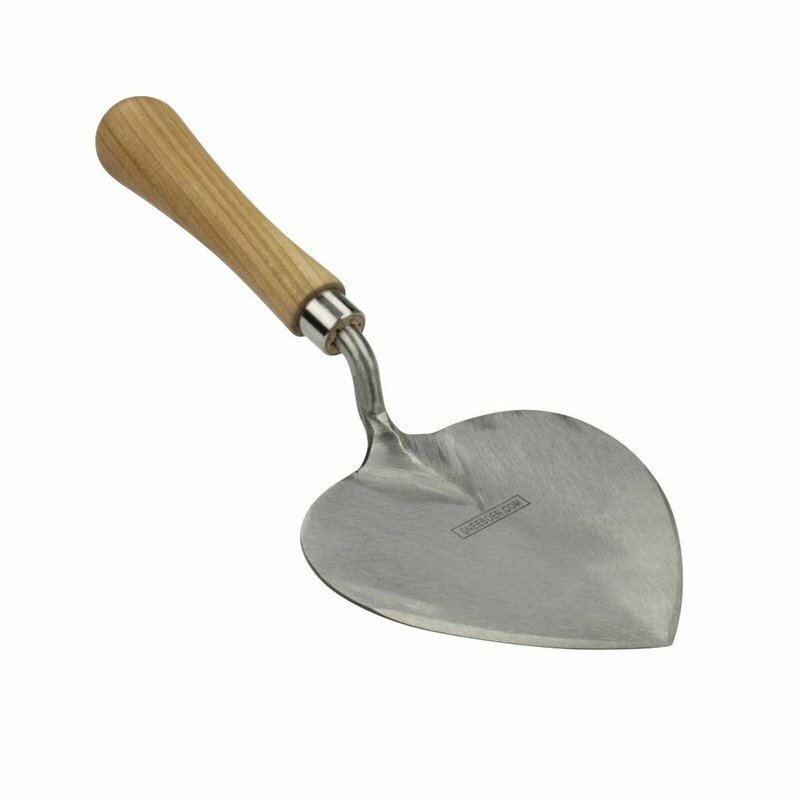 This planting trowel is hand-forged from stainless steel and fitted with your choice of a cherry hardwood handle from Certified forests.